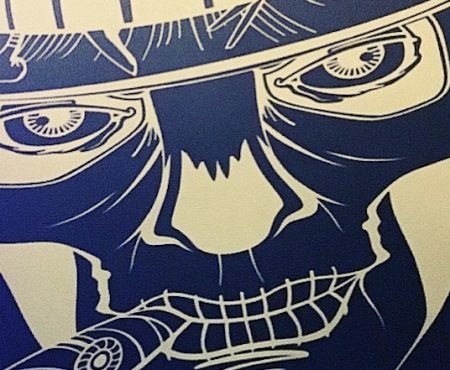 Home AFTER DARK Bongo’s Bingo – does it live up to your first time? 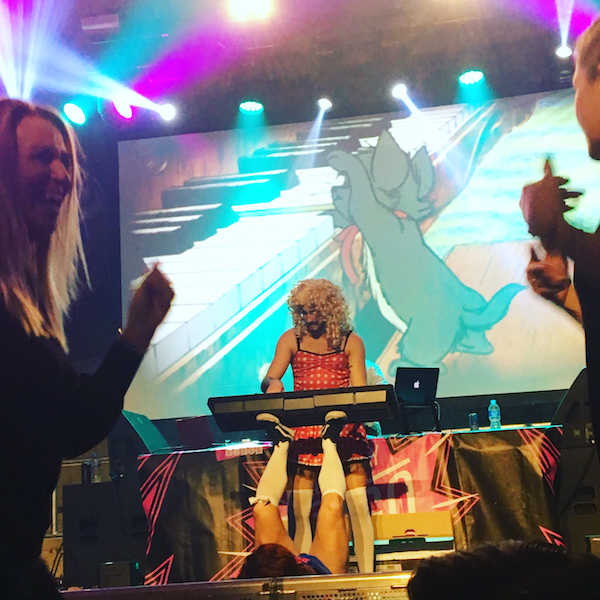 A year on from our first Bongo's Bingo experience - is the legendary night out still worth the hype? 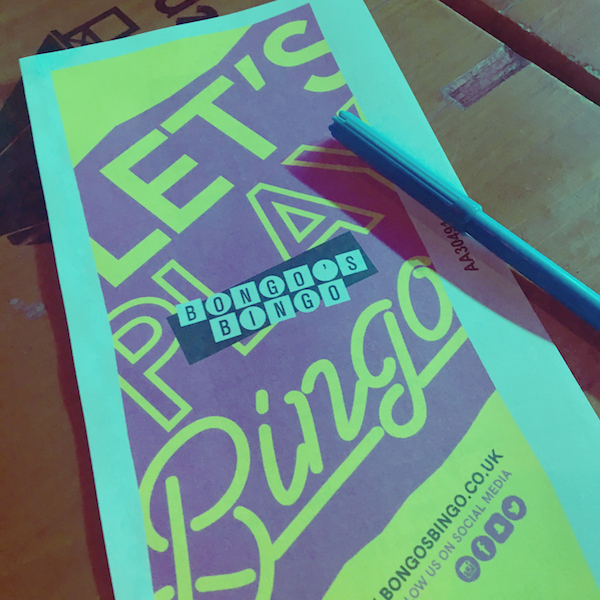 If you haven’t heard of Bongo’s Bingo – where have you been?! 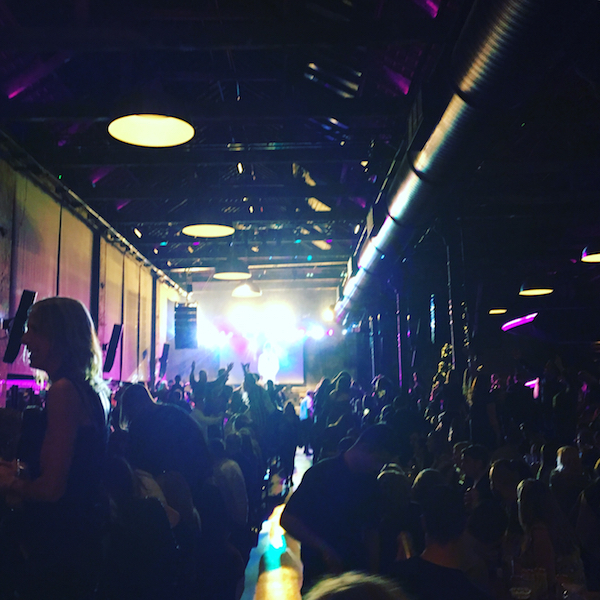 A regular fixture at The Boiler Shop in Newcastle, the events are a sell-out every time tickets are released. But if you’ve already ‘been there, done that’ – is it worth going back for more? That’s exactly what I did last weekend. Following last year’s memorable visit (check out my review here) I ventured back with three friends. Our table – reserved beforehand as it’s usually first come, first served – was just a stone’s throw from the main stage; the first time I’d been this close to all the action. 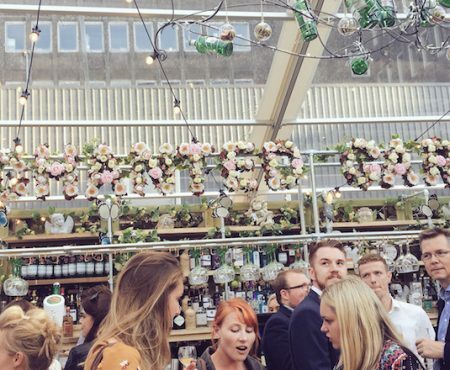 The next row along, I spotted a girl in a black maxi dress and stilettos – she was clearly a first timer; any Bongo’s Bingo regular knows it’s all about the flat shoes and being able to jump up onto your bench at a moment’s notice (usually the first note of a classic 90s throwback). 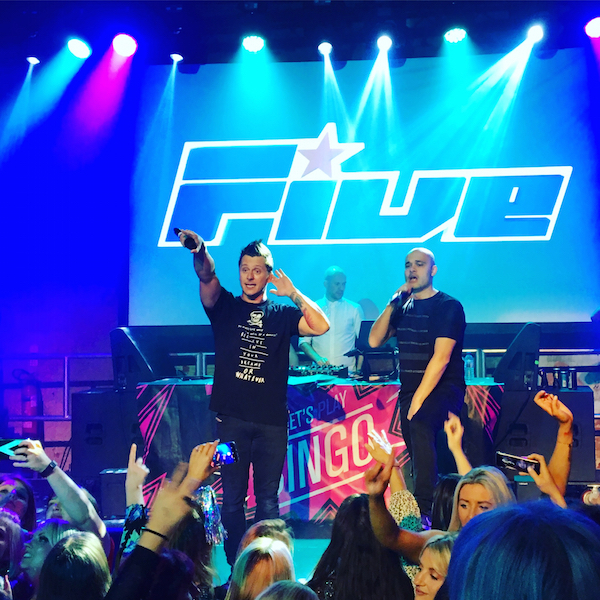 The format is still the same – five games of bingo, plenty of cheesy tunes to dance to, and a mini rave in the middle complete with glow sticks. And with Christmas round the corner – a few festive tunes were thrown into the mix too. Micky Pickles is your DJ, bingo caller and overall host for the night, giving all the partygoers the lowdown on the rules and prizes. And later in the evening, he even showered us in Coco Pops, with the box hitting off my head – thanks Micky! He’s still accompanied by two cheeky sidekicks – Dirty Daisy (see my pic with him below) and Thirsty Thelma, who are there to spot anyone in the crowd shouting ‘bingo’ in between their dance numbers. It’s the first time I’ve been able to properly watch their antics and it’s entertainment in itself! The prizes are still as random as ever – from a cardboard cutout of Jeremy Corbyn and the classic Henry Hoover to a Casio keyboard and a giant cuddly unicorn. There’s some cold hard cash to be won too and a grand prize of £1200 was up for grabs in the final game of the night. Not a bad prize at all. Well this time, the mini rave section also included giant inflatable balloons bouncing above the crowd. There was also a karaoke section, with a guy even getting up on stage. 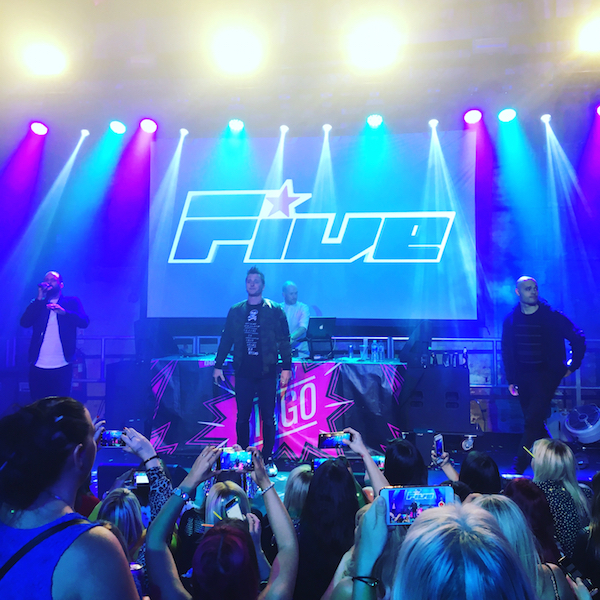 But the biggie was the addition of a live performance, and on my visit it was one of my favourite boy bands from back in the day – 5ive (ok, there’s just three members now, but it’s the best three that are left!). They performed at the end of the night, singing all of their hits including Keep On Movin’ and Everybody Get Up. It was 90s nostalgia at its finest. Bingo. Party. Rave. Gig. 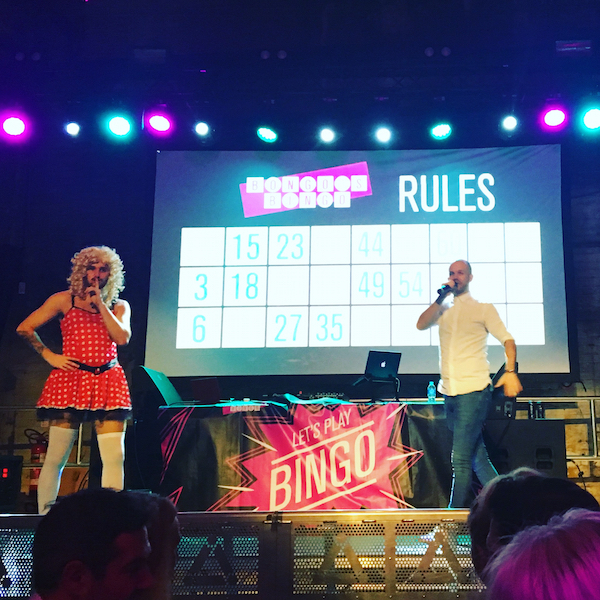 Bongo’s Bingo has a little bit of everything to create the ultimate night out for you and your mates, and it’s great to see they’re keeping it fresh, mixing up the playlist and prizes, and adding live music to the line-up. You might have already seen the likes of Cascada and Vengaboys making an appearance earlier this year, too. 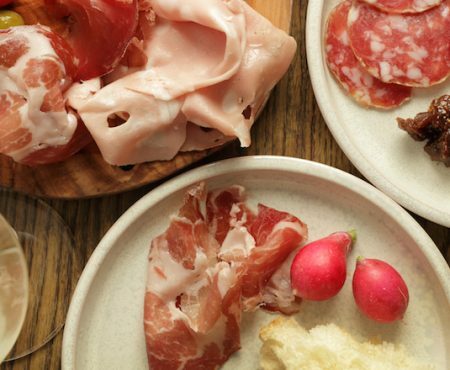 So if you’ve been before and wondering if you should go back – in a word, the answer is yes! It’s still as much as fun as your first time…perhaps even more so, as let’s face it – your first visit is a bit of an overwhelming, messy haze! If you want to experience Bongo’s Bingo for yourself, get your tickets online at www.bongosbingo.co.uk.